The devil might have all the best tunes, but the Union Chapel is proof that him downstairs knows nothing about architecture. The Grade I-listed gothic masterpiece, completed in 1877, is still used as a working church and help centre for London’s homeless. Noble purposes, to be sure, but equally uplifting is the effect the environment has on performances – and performers. 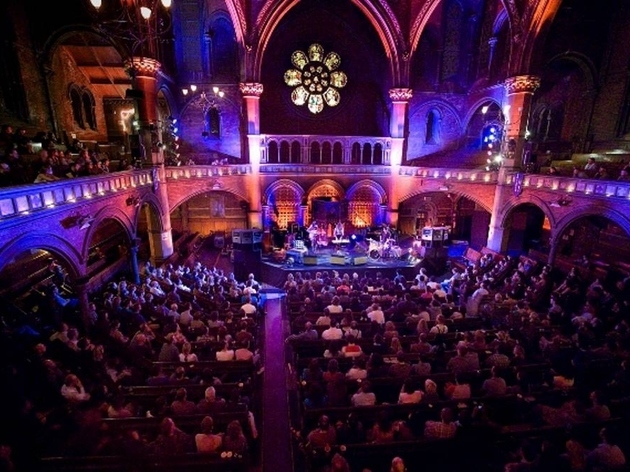 Put simply, bands raise their game when they’re playing the Union Chapel – it’d be sacrilege not to – and the spellbinding surroundings and acoustics mean it still beats the crap out of the most modern, purpose-built venue the twenty-first century has to offer. 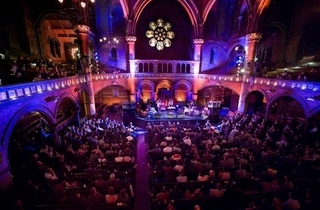 While it made its name hosting acoustic nights and occasional jazz shows, the Union Chapel has since become a magnet for the thinking bands and their fans, particularly as part of the rightly lauded Little Noise Sessions for Mencap. 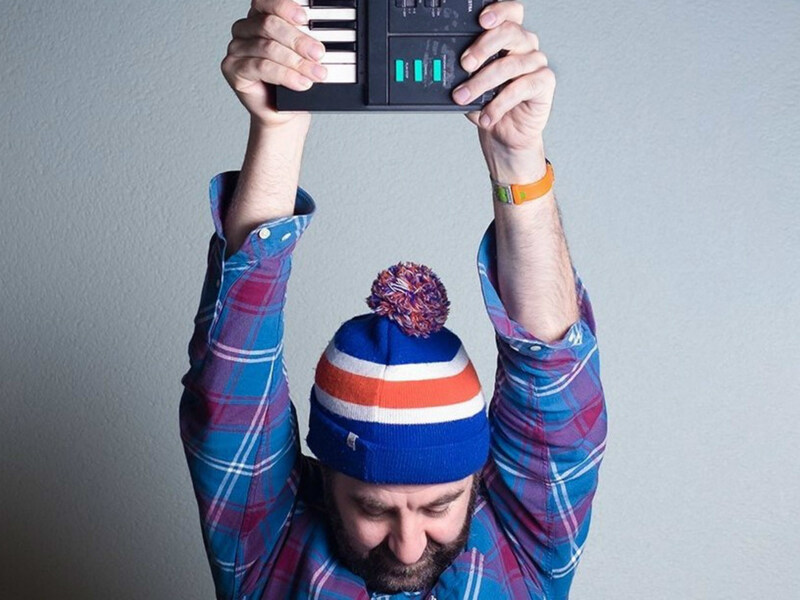 Whimsical Irish comic David O'Doherty headlines tonight, plus 'Taskmaster' star Lolly Adefope and superb stand-up Ed Gamble. 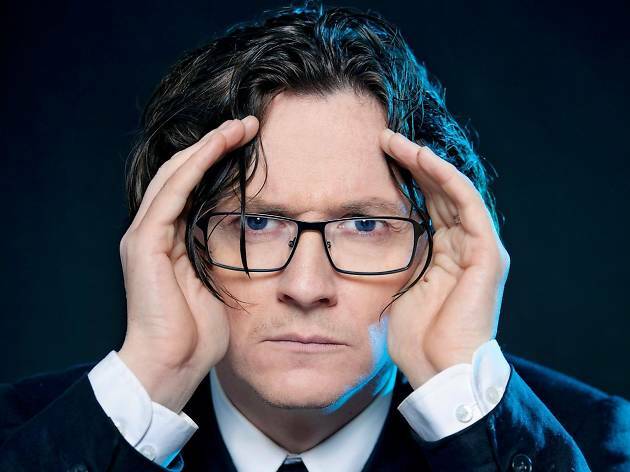 Observational Irish stand-up Ed Byrne headlines this holy night of comedy. Plus Kiri Pritchard-McLean and many more. I love this venue. It’s a working church but I’m certain nights it houses gigs and/or comedy nights. I recently went to see ‘Live at the Chapel’ which is their regular comedy event and I was not disappointed. The acts were all great, the price was very reasonable and the venue is stunning. You sit in the standard church style pews which can be a little uncomfortable after a while (so maybe bring a sneaky cushion eh) but even if you aren’t into the performance before you you’ll be fine as the venue itself is worthy of a good long look around. Stunning wooden carved ceiling, gorgeous windows and as the evening draws in the lighting gives you just another differing beautiful view of the site. What a great venue!! I haven't had a chance to go to Union Chapel for a gig yet but I went for the stand up comedy show "Live At The Chapel" and it was absolutely amazing. For only £20 we have seen 5 awesome comedians (including the adorable Ardal O'Hanlon playing Dougal in Father Ted and the hilarious Aisling Bea). The atmosphere in the chapel is pretty peculiar as everything looks exactly like a church apart from the colored spots and neon lights. I really loved this place and I had a memorable time at the show. I definitely recommend it! Amazing venue! And you can have hot chocolate and tunnocks tea cakes in the interval!! We went to the bar before the gig, food was yummy and a good selection of drinks. Great building and generally a very cool place. One of the most atmospheric venues in London. An old church , just minutes from Highbury and Islington tube on Upper Street. Last night Billy Bragg and Joe Henry stood before the pulpit and sang songs from their recent trip across America. It was the perfect setting for an awesome night. At all times you feel you are in church. Hard Oak pews ( take a cushion ! ) , stained glass windows and moody lighting. But to remind you its a fun place, a subtle neon says "bar" . A wonderful mix of then and now. Oh and the acoustic is superb. The most amazing place you can go to experience live music. The inside of the church is just breath taking and the acoustics are astounding. Go a bit earlier before the gig and get a bite upstairs in the charming 'canteen'. One of London's best bits for sure. Love this place. Love the musicians that play here. The singers that sing here. The comedic acts that tell jokes here. And love the other revellers that come here. The Union Chapel is an oasis in Islington where you can put your day behind you. As a working church, a live entertainment venue and charity drop-in centre for the homeless it's a place filled with joy. I always look forward to seeing live music here, the acoustics of the chapel are spellbinding and the architecture is always mesmerising. Sitting in pews, if you go along to a popular event prepare to get cosy with your neighbours. While there's no alcohol permitted in the chapel itself, there is a bar for a tipple before, during intervals and after the show. You can however have copious amounts of tea and coffee wherever you like. In real life mugs. And maltesers. Love maltesers. The bar also houses Margins Cafe, run by the Margins Project who work with people who have suffered from issues of homelessness, mental health, and crisis. The food is delicious! There's always a meat and a vegetarian option, both for around £8.50. And as a secret tip, if you reserve a place for dinner with early entry you'll be able to pop your coat on a pew in the chapel before heading back to the bar while everyone else is still queuing outside!! As a member of the chapel, for £25 a year, you can get priority entrance, 10% off at the bar and kiosk, and most importantly cushions and blankets to borrow at gigs. Did I mention I love this place? It's puts a spell on you! Epic gig venue where hot chocolate and marshmallows go hand in hand with live music. Just the best venue with fantastic acoustics. Where else can you find a stunning music venue, an innovative homeless project, a working liberal church in a splendid non-conformist cathedral - no where else! The best staff you'd ever meet in a London venue! This is such an incredible venue. A bit breath-taking actually. Obviously it used to be a church, but now it's used for a huge variety of events. I've been here twice, both times to see comedy shows which the higher powers (god, n that) certainly wouldn't appreciate, so suffice to say it's not a working church anymore so don't worry, you won't burst into flames as you enter through the doors. I love the original church features - the pews, the stunning stained-glass windows, the gorgeous arches. It's almost a work of art. I kind of like the fact that there's no assigned seating in this place, but at the same time, if you turn up late there's a very good chance that your view is going to be massively obstructed by concrete pillar, and no matter how early you arrive, you are going to have to suffer the incredibly hard wooden pew seats. If you have haemorrhoids, bring a cushion! The acoustics in the room are quite impressive, but sometimes the microphones can seem a bit fuzzy so if you're up "in the gods" (so to speak) the sound quality might not be great for dialogue. One bizarre thing about this place is that you can't drink alcohol in the chapel... considering it's no longer a fully working church that seemed a bit odd, and was a huge shame to be honest, but there is a bar at the back you can drink in pre or post show. If you get the chance to see something performed at this venue, make sure you go. I'd imagine come Christmas there will be some pretty beautiful choir shows going on... i'll be looking out for one of those! Love Union Chapel! They're offering a versatile program in an amazing space. The UC attracts premier performers to a more intimate venue. The food is great and the bar also. Friendly welcome and service from all who work/volunteer there. A unique and atmospheric venue to see a broad spectrum of performance. There is nowhere else quite like the Union Chapel. Union Chapel is like no where else in London. Where else can you drink a hot chocolate and enjoy live comedy? Drink G&T in the attic of a chapel during the interval of a live concert or watch a Christmas Movie Classic by candle light? Just love this venue. Have been a member for a number of years to support them. Great venue, lovely staff and atmosphere. Thank you. Gorgeous building, intimate surroundings with great acoustics. The best place for music - even with the hard church pews. I sang as part of a youth choir that brought together all the schools of London at the Union Chapel to celebrate multiculturalism. A small select few kids from each school were chosen. Many years passed and I thought it was in danger to close down... but luckily with lots of amazing musical events the Union Chapel is the go to place for an atmospheric experience in music but also theatre. I went to see Anathema there but also Greek singers and classical music. You get to sit comfortably and the lighting and gothic surroundings are amazing. You also have volunteers offering coffee and tea and snacks for good prices. I love this place event over 20 years later... nostalgia. Amazing music venue, only downside is you can't bring drinks into the music hall but the bar is big and has a lot to offer during intervals or before a show. amazing place, perfect sound, great vibes,intimacy and emotion each time. I went to the Union Chapel for a comedy show. The venue is standing! What an unusual place for a show venue. Of course, a chapel is not renowned for its comfortable benches, so maybe think of bringing a chair cushion to avoid the bottom hurt at the end of the night. Most of the time, you can listen to music there, so no wonder there was a jazz live band to entertain us before the show and during the break. Of course the Union Chapel is known for its lives, but what it is even more known for is its hot chocolate! Make sure you have your hot chocolate cup, topped with cream while you enjoy the live! Beautiful venue - enhances the music! The stained glass windows are particularly nice. Best to avoid sitting on the side pews, as there is a slightly restricted view here. Gigs are only hosted intermittently, so keep an eye out and go even if it is not your favourite artist - just to experience a gig in such a venue! I went to union chapel last Wednesday to see Laura Cantrell! The acoustics here are amazing! I can't remember this venue more! Do bring a cardigan though as it can get cold in the chapel!! This is not just a stunning venue/church it's so much more but mainly is a magical place. Went for a gig tonight and I dare to say that there's no better venue in London for acoustic concerts. It has to be said that everything is perfect. From the staff that take care of the venue as if it's their home and that takes care of all of us to the charity it runs in parallel. One of the best things London has to offer! Absolutely LOVE the Union Chapel. I have seen comedians, musicians and even sang here myself a few times! It is stunning, the acoustics are just perfect and most seats offer a great view. As it is a chapel, you're not allowed alcoholic drinks inside during performances, and whilst this isn't a big deal, be warned that before shows and during intervals,the bar gets very busy! It also happens to be in one of the best locations in London, only minutes away from the vibrant and diverse upper street. What more could you ask for from a venue? The most atmospheric venue in London! Absolutely LOVE this venue, seen so many amazing things here including Stewart Lee and despite losing feeling in your bum on those pews up the back of the venue, the intimacy of this place makes any event in there feel really special. Plus they don't make a bad veggie curry in the bar. Surprised! I've partied in airplane hangars, shops, rooftops, forests but I think the Union Chapel is the most memorable. The fact that the main chapel is still decked out with rows and rows of pews does not put you off dancing. The acoustics are amazing wherever you stand and it's quite hypnotic to watch people below you from the balcony dance away like some sort of musical cult. Staff are very friendly, including the people on the door and where else can you listen to Nightmares on Wax jamming whilst eating cake and drinking tea. Thankfully if that's not what you're after, there is also a reasonably priced bar. Drinks aren't allowed into the chapel but no one said anything about my gin and tonic in the water bottle. Ahem. I can't even count the number of wonderful events I've been to at the Union Chapel. It is, of course, incredibly beautiful, but it also benefits from excellent programming and staff who truly care. There are often excellent free performances on Saturday daytimes (look for Daylight Music on Facebook) and the excellent food they serve in intervals is produced by Margins, a charity which helps people who used to be homeless to learn new skills and find their way into employment. The only downside is that you have to sit on pews, which must be the least ergonomic furniture ever to be produced. My favourite venue..its beautiful…Saw goldfraap here first. I love the carols by candlelight free christmas event the best….arrive well in time as they closed the doors on the late comers last year…. Lovely surroundings to see your fav artist in. Amazing venue! Can wait for Halloween! The most beautiful venue in London and where I've seen the most memorable gigs. Magic place.